The Arizona Gay Rodeo Association (AGRA) is one of the five founding members of the International Gay Rodeo Association; the group held their first rodeo at Corona Ranch in January 1986. As a non-profit entity, AGRA raises thousands of dollars each year for local and LGBT+ charities. The Country Idol singing competition has been associated with AGRA and the Arizona Gay Rodeo for more than 20 years. 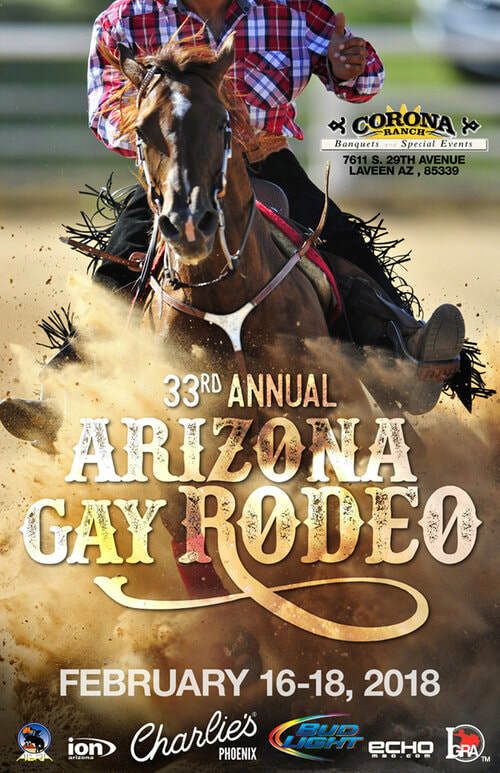 For more information on AGRA and the 33rd annual Arizona Gay Rodeo, visit the AGRA website below.